I’ve read this book before, but never so close to reading the other books in the series. It was fun getting reacquainted with the characters in the first book of the series. But that wasn’t enough to get a 5 star review. The characters were well done. I loved how Melanie remade the Seven dwarfs. As they were introduced, I enjoyed trying to figure out who was who. I figured out at least four. The main characters, Sophie and Gabe were well done as well. I enjoyed their little romance and all the problems they had together. I thought the dialogue fit the time period and each of the various situations very well. This is where the story began to be a little less enjoyable. Overall, the plot was okay. But only okay. The first two books deviated from the basic plotline of their fairy tales, but this one didn’t do much different. There wasn’t any magic, but that’s about all that was varied. The man who rescued her did at least get to know her before they fell in love, but the story still followed the same romance cycle everyone uses. I found a few misspelled words, sentences that I had to read a couple times to understand, and general formatting errors in the eBook. I expected more from such a big publishing house. I did sometimes have a hard time putting the book down, but other times I put it down in frustration. 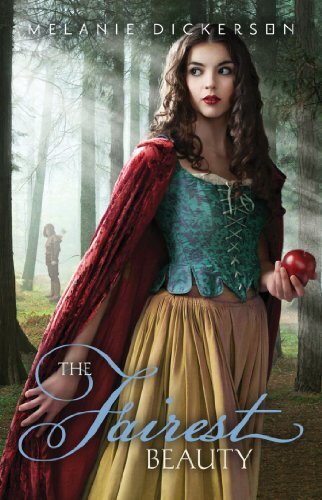 If you are looking for a slightly different Snow White retelling, you can try this one. Especially if you can look past all the mistakes. I think someone who isn’t a writer would enjoy this book.